Make no mistake about it, fish are being caught and mid-August isn’t bad at all, in fact 10 to 15 fish for a 4-hr. trip is a pretty good hot summer day. 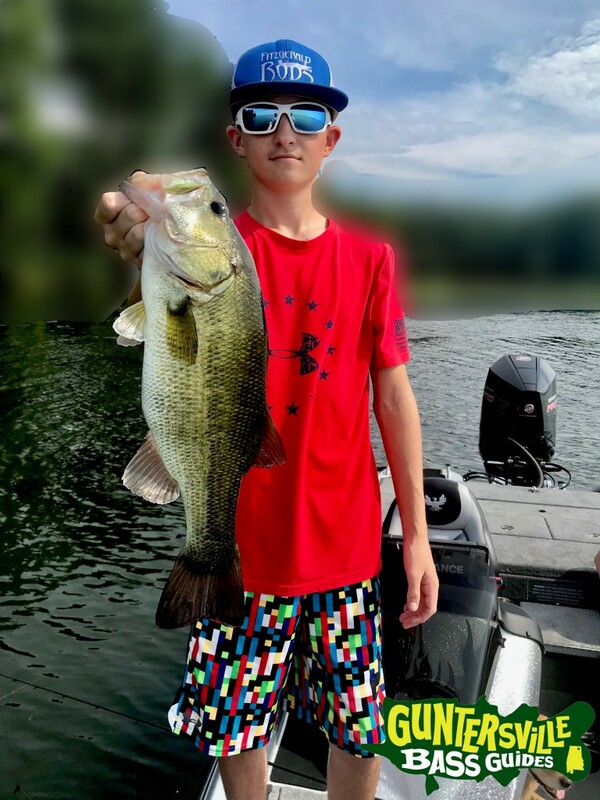 Now that you back to school and planning some time off Guntersville can offer some summer time fun! We saw some late afternoon water temperatures at 90 degrees putting us square in the middle of the dog days of summer. 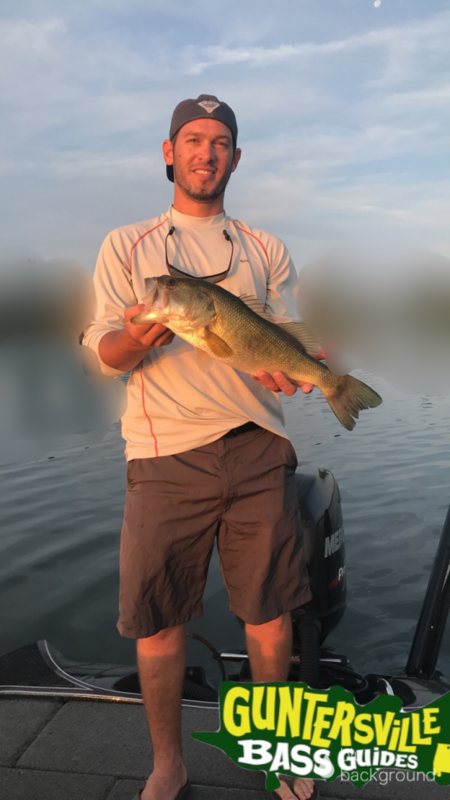 The bite this past week certainly reflected the dog days; bites were at a premium and patience was the key to a successful day. Fishing Continues To Be Awesome! 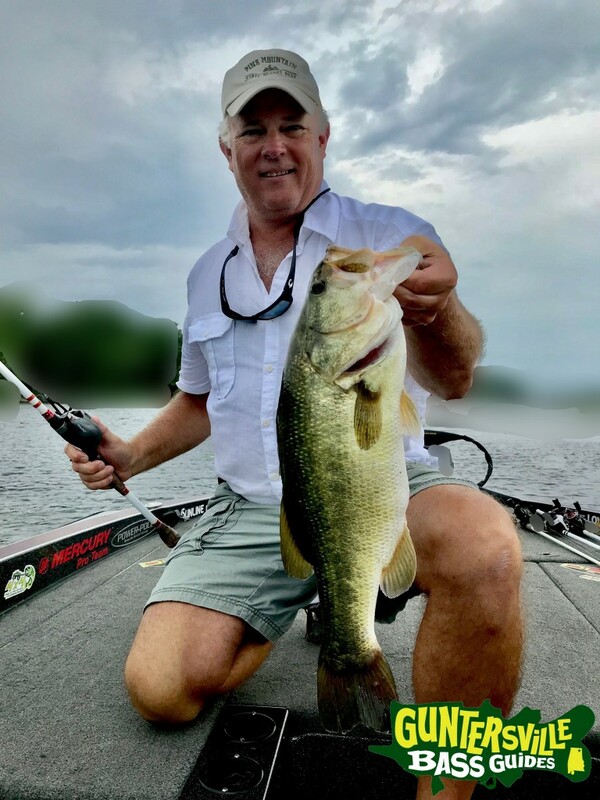 Guntersville Is Still Producing. And Its July. Whats going on out here? 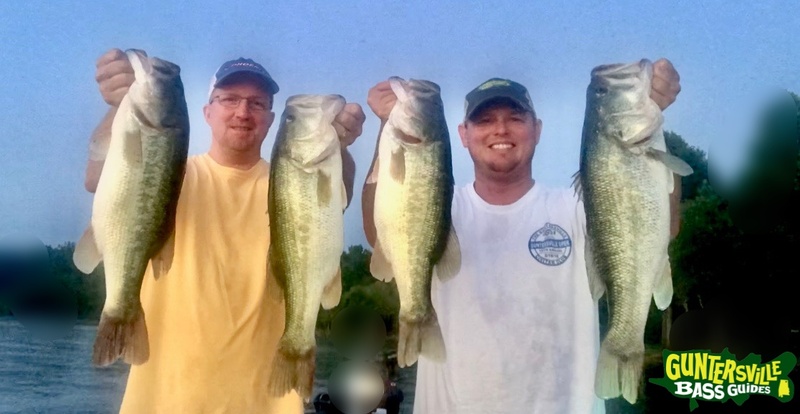 The bass keep biting, but its not all easy, we just keep adjusting and its producing. 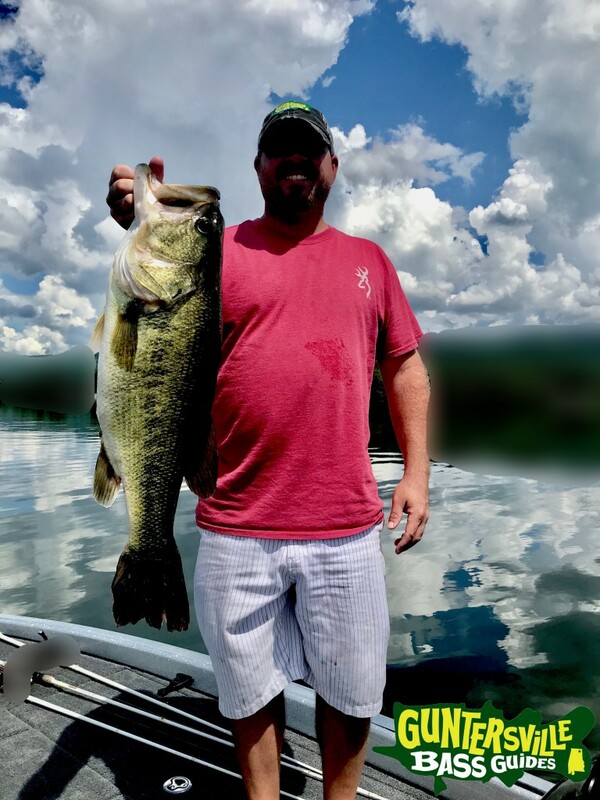 If you think fishing slows down in the heat, then your thinking wrong.. Yea its hot out, make sure you drink plenty of water... Because you'll forget while your catching all these bass.. Guntersville is Amazing..